Out with July and into August as Japan releases pictures of the new colorways coming next month. 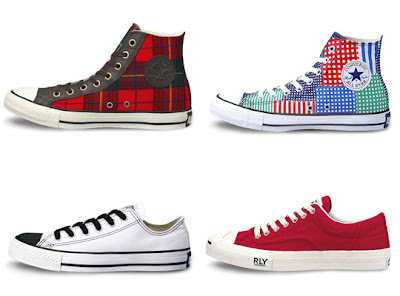 Converse is known for sticking to its solid or two toned colors. This August is blowing in a fresh breeze of brand new Converse looks with brand new details materials and a plethora of colors to spare! Ill be closely following this one for release dates in the US - stay tuned!